New York (CNN) The British Parliament has obtained a set of internal Facebook documents the social media giant has fought for months to stop from being made public, according to Facebook and a lawyer involved in a suit against the company. The cache of documents, some of which may include correspondences between Facebook CEO Mark Zuckerberg and company executives, stem from a lawsuit in California that outlines a litany of allegations against Facebook, including claims about the company’s alleged disregard for user privacy and the claim that Facebook CEO Mark Zuckerberg devised a scheme that forced Facebook’s rivals, or potential rivals, out of business. A Facebook spokesperson told CNN on Saturday that Six4Three’s lawsuit is without merit. The internal documents were obtained by Kramer’s lawyers through discovery, a legal process whereby one party to a lawsuit can obtain evidence from the other. However, last Monday, Member of Parliament Damian Collins, the head of the British parliamentary committee that has been looking into Facebook, wrote to Six4Three’s Ted Kramer, asking for the documents. Kramer was apparently in the United Kingdom for work and the letter was sent to the hotel in central London where Kramer was staying, court documents reviewed by CNN show. A Facebook spokesperson said in a statement that the materials obtained by the committee are subject to a protective court order restricting their disclosure. Saturday night, The Observer newspaper in London reported that the documents had been seized after Kramer was escorted to Parliament after a sergeant-at-arms appeared at Kramer’s hotel. Kramer was told he risked fines and possible imprisonment if he didn’t hand over the documents. CNN has not independently confirmed this. Prior to the change, Pinkini and other app developers were able to access information not only about their users, but also about their users’ Facebook friends, including users’ friends’ photos. The little-known case attracted the interest of major news organizations, including CNN and The Guardian newspaper, that filed a joint court motion in June for the documents to be made public. “The Guardian and CNN express no opinion on the merits of the dispute,” the motion added. Facebook has consistently pushed back on Six4Three’s claims. Also in October, a Facebook spokesperson provided CNN with a link to a 2013 promotional video for Pinkini, saying the company was doing so “so your viewers have a clear picture of what Six4Three is trying to defend.” Facebook also said that the Pinkini app had fewer than 4,500 downloads. Naugle, Facebook’s lawyer, told CNN in a statement last month that the company stood by its decision to ask for the documents to be kept under seal. “Motions to seal are entirely commonplace in litigation and are typically granted as a matter of course to respect the confidentiality of internal discussions and the trade secrets their disclosure may reveal. We believe Six4Three’s claims are entirely meritless,” she said. 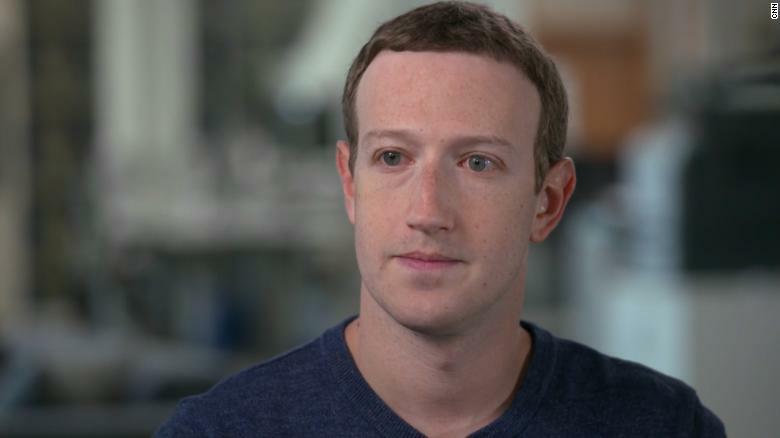 Kramer told CNN that he views his fight with Facebook as a “David versus Goliath” battle. “I think it’s really important to understand that they have fought tooth and nail to prevent this evidence from becoming public which we believe the world should see. We believe everyone should see this evidence because they have the right to know the truth,” he said.